Mitch McConnell’s Love Affair with Hemp How the Kentucky senator picked a fight with the DEA and became one of Washington’s top drug policy reformers. Last May, a shipment of 250 pounds of hemp seeds left Italy destined for Kentucky as part of a pilot project made legal by the 2013 federal farm bill. Kentucky farmers had long hoped for a crop that could fill the void left by the decline of tobacco, and many thought that industrial hemp, which is used in a vast array of products, could be that crop. The hemp seeds cleared customs in Chicago, but when the cargo landed at the UPS wing of Louisville International Airport, the Drug Enforcement Administration seized it, arguing that importing hemp seeds required an import permit, which could take six months to process. If farmers couldn’t get those seeds into the ground by June 1, the entire first year of the hemp pilot program would be dashed. The DEA would have succeeded in blocking the seeds from reaching Kentucky farmers and university researchers but for the efforts of the state’s agricultural commissioner, who sued the agency and, most improbably, Mitch McConnell. McConnell—then the Senate’s minority leader—worked furiously to free the seeds from the DEA’s clutches and continued the pro-hemp drumbeat throughout 2014, as he campaigned for reelection. This year, as Senate majority leader, he’s taken a further step by co-sponsoring the Industrial Hemp Farming Act of 2015. While the farm bill carved out an exception to allow hemp cultivation in Kentucky, the 2015 bill would remove hemp entirely from the list of drugs strictly regulated by the Controlled Substances Act. It would, in essence, legalize hemp production in the United States. Yes, Mitch McConnell said that. About hemp. To grasp how McConnell—the quintessential establishment Republican—came to champion industrial hemp, you must first understand the economics and internal politics of Kentucky, as well as McConnell’s relationship to Kentucky’s junior senator, Rand Paul. It’s also helpful to know that close to $500 million worth of hemp products produced by Canada and other countries is already sold in the United States through such stores as Whole Foods. McConnell’s move also has potential ramifications beyond the marketplace, providing a credible threat to the Controlled Substances Act since it was signed into law by President Richard Nixon in 1970. 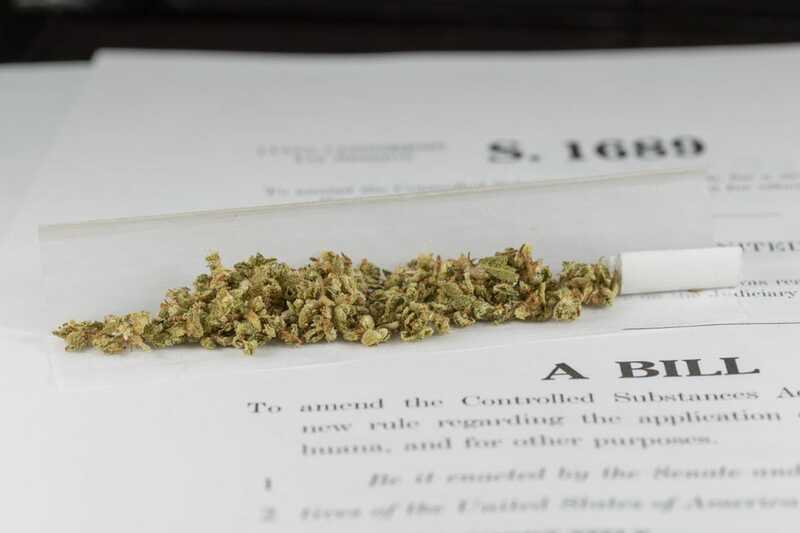 “The fact that Majority Leader McConnell is a co-sponsor of a hemp bill shows how fast the politics are changing on this issue,” said Bill Piper of the Drug Policy Alliance, a nonprofit group that favors reform. (Bill Piper should not be confused with Billy Piper, former McConnell chief of staff and current K Street lobbyist). The story of how Mitch McConnell evolved on the hemp issue began in 2010. Rand Paul, a Tea Party favorite, was running to replace the retiring Jim Bunning in the U.S. Senate and spent much of the primary season blasting McConnell, who not only represented the establishment but also supported a different Republican candidate. The McConnell-Paul relationship changed dramatically after Paul prevailed in the primary and McConnell vigorously stepped in to support him in the general election against the Democratic nominee, Kentucky Attorney General Jack Conway. The bond only grew when Paul came to the Senate in 2011. Paul encouraged McConnell to consider the hemp issue because it was favored by conservatives and Tea Party types, according to two sources familiar with those discussions. McConnell listened. The other Kentucky Republican who played a role in McConnell’s evolution was Jamie Comer, the state’s newly minted agriculture commissioner. In August 2012, Comer held a news conference before the 49th annual Kentucky Farm Bureau Country Ham Breakfast—a big shindig on the Kentucky politics circuit—to announce that legalization of hemp in the state would be his No. 1 priority in the next legislative session. Paul and U.S. Rep. Thomas Massie, another Kentucky Republican, were there to support Comer; each later testified in support of Comer’s measure before the state Senate agriculture committee in February 2013, along with Rep. John Yarmuth, a Democrat from Louisville. For starters, hemp is sometimes referred to as marijuana’s “cousin,” which is an unhelpful metaphor because hemp and marijuana are actually the same species, Cannabis sativa. They are simply different strains, and they are cultivated and harvested in different ways. The cannabis plant is dioecious, which means its male and female flowers grow on different plants. This is unusual: Dioecious species—including gingkoes, willows and a few others—make up only 6 percent of all flowering plants. Hemp is produced after the male plant fertilizes the females—something that happens almost immediately once the plants flower. Marijuana, on the other hand, is produced from the unfertilized flower of the female plant. A person interested in growing marijuana wants only female plants; a plant that shows signs of male flowers is plucked immediately, before it can mature and pollinate the females around it.